New York designer Michael Kors presents these sterling silver circle earrings; whilst simple in form they surely leave a dazzling impression. 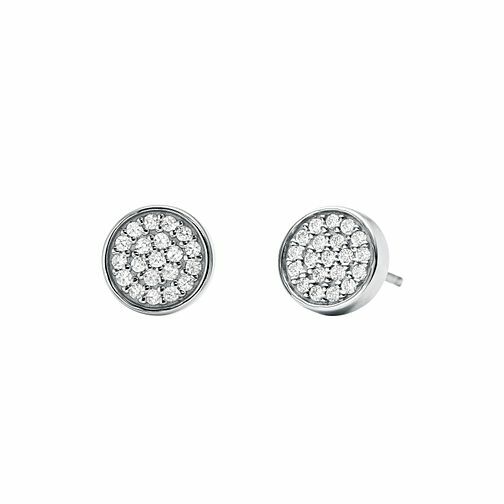 With a polished sterling silver circle stud encrusted with cubic zirconias, these earrings are the ideal complementary touch to your daily look. Michael Kors Sterling Silver Circle Stud Earrings is rated 5.0 out of 5 by 1. Rated 5 out of 5 by Anonymous from Fabulous earrings. Bought as a present for my wife who absolutely loves them. 9 ct gold and just the right size if you have a preference for earrings which aren’t too large.